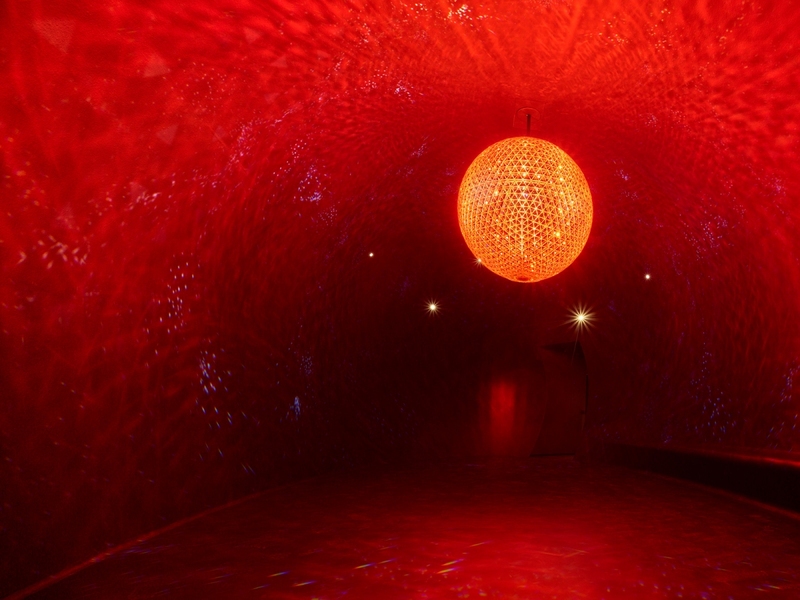 Nestled underground in the iconic head of the Giant, a venue built by André Heller in 1995, are the sixteen Chambers of Wonder that make up the dazzling core of the Swarovski Crystal Worlds in Wattens. International artists have been given the opportunity within the Chambers to interpret ‘crystal’ in their own way – and recently, four of these spaces have been transformed with new installations. Four new, internationally recognised artists have been given the change to create spectacular experiences that include vibrant colours, glittering details, and even virtual encounters. “New additions like these turn Swarovski Crystal Worlds into a vibrant fantasy world that never ceases to surprise even regular visitors,” says Stefan Isser, Managing Director of D. Swarovski Tourism Services GmbH. “We are pleased that we were able to secure, as creative partners, Manish Arora, André Heller, Arik Levy, and Fernando Romero, four luminaries in the international art and design world. 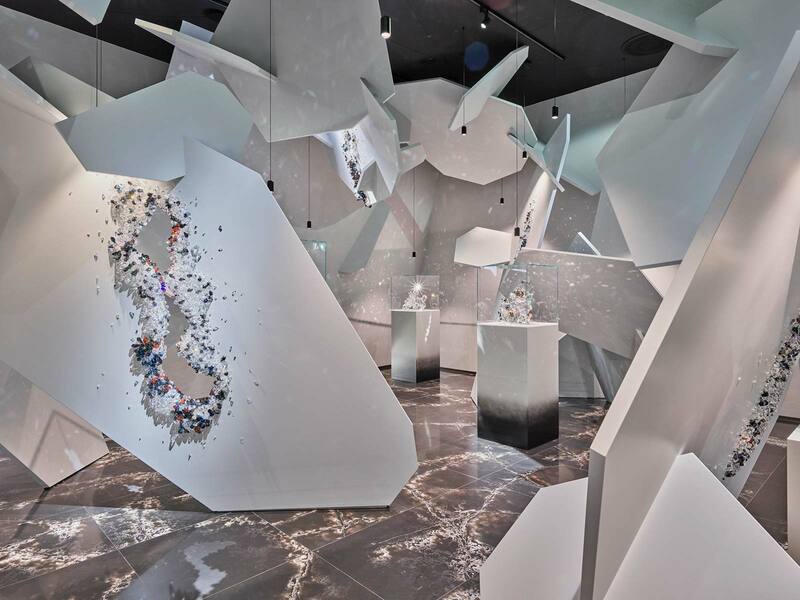 With their installations here in Wattens, they are, in their own unique ways, transforming not only crystal itself but the entire Swarovski brand into a sparkling experience,” enthuses Markus Langes-Swarovski, Member of the Swarovski Executive Board. 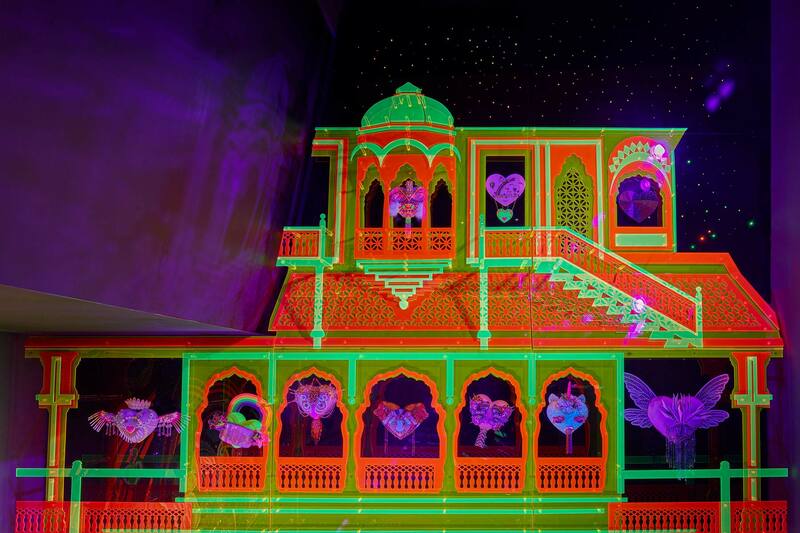 Manish Arora, one of the world’s most sought after Indian designers, has created a ‘Paradise of Hearts’. With designs characterised by emotive storytelling and bold colours, Arora’s Chamber of Wonders beckons visitors to enter a fantastical world. Sparking messages of love adorn a stairway, which leaves to a vibrantly coloured platform where the façade of an Indian temple is revealed in dazzling neon. This Chamber has rightly been christened the ‘Ready to Love’. The man behind the Giant, André Heller, has also created a separate Chamber of Wonder for the exhibition – ‘Heroes of Peace’. This Chamber is dedicated to the theme of peace, inviting visitors to pause in contemplation and reflect on how we can each make a contribution to peace. 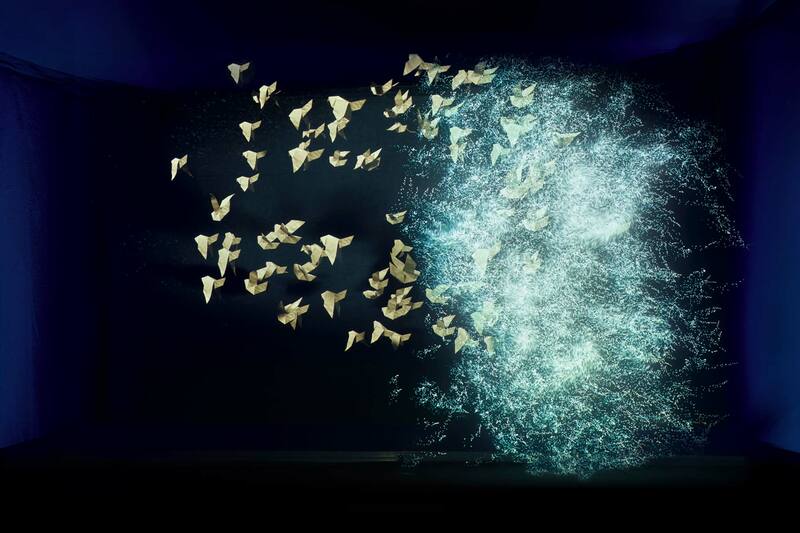 Meanwhile, projections allow viewers to interact with life-sized holograms of individuals who have previously won the Nobel Peace Prize, or dedicated their lives to issues of peace – including visuals of Mahatma Gandhi, Martin Luther King, Pablo Picasso and Bertha von Suttner. Crossing the borders between fine and applied arts, Israeli artist Arik Levy possesses a deep understanding of crystal and has worked with Swarovski on numerous occasions. His Chamber of Wonder is an immersive, sparking labyrinth takes visitors from one section to the next, allowing them to discover new structures and unique perspectives along the way. Entitled “Transparent Opacity”, this Chamber may not be new, but it has been expanded with a new interpretation of the crystaline form. With the Museo Soumaya – Mexico’s most Instagrammed building – on his design repertoire, Mexican architect Fernando Romero is perfectly situated to create a stunning Chamber of Wonder. He has designed it entirely around the relationship between humankind and the sun, naming it “El Sol”. Illuminated from the inside by LEDS, a sphere composed of 2,880 custom-made Swarovski crystals makes up his Chamber, designed at exactly one billionth the size of our Sun and radiating a red-orange glow.